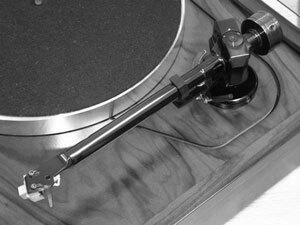 The Mission Mechanic is a heavyweight tonearm design manufactured by GB Tools. The arm is similar in design and construction to the Mission 774SM and Zeta tonearms which where made by the same company. A fine piece of engineering which is designed to react to minute forces and produce minimal levels of friction. Mission Mechanic owners manual, service manuals and schematics are for reference only and the Vinyl Engine bears no responsibility for errors or other inaccuracies. The PDF files are provided under strict licence. Reproduction without prior permission or for financial gain is strictly prohibited. This website is not affiliated with or sponsored by Mission. Posted Sun, 01/23/2011 - 10:39 by willcal. Posted Sat, 10/30/2010 - 06:58 by Graz.